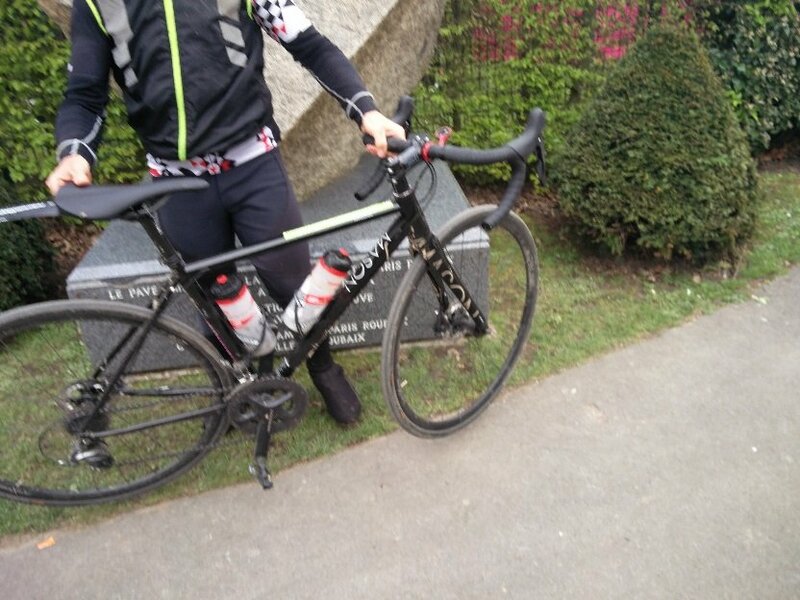 Paris-Roubaix Challenge - And back to the Netherlands! 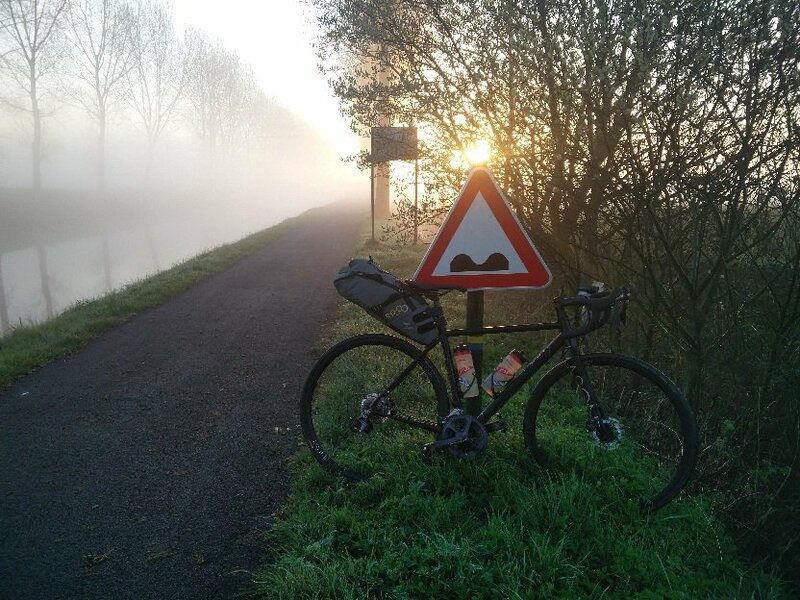 Paris Roubaix Challenge – And back to the Netherlands! 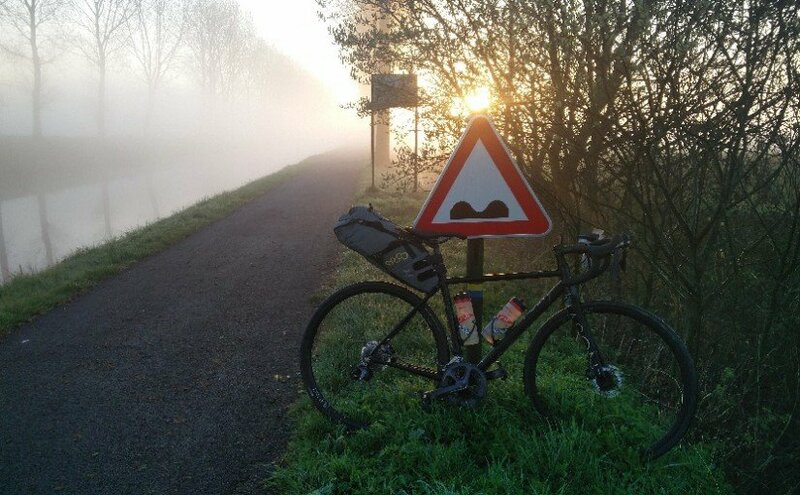 Last minute I decided to take over a registration for one of the toughest 1-day cycling challenges you can do in Europe: the 175km Paris-Roubaix Challenge; including 52 kilometres of paved cobble sections. 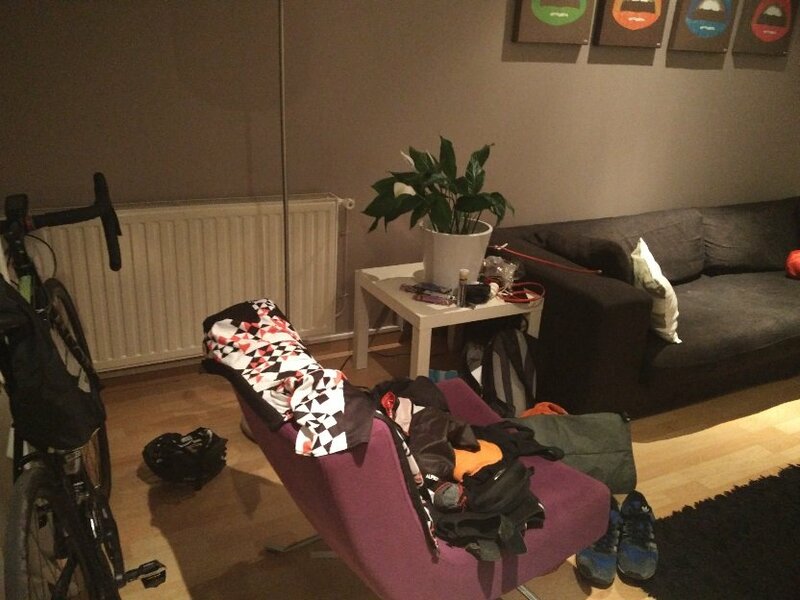 At friday I took the train to Roubaix via Antwerp: depending on my fatique and the weather I would try to ride back home saving 70EUR of train tickets 🙂 I was able to crash on this beautiful couch the night before, thanks Yuri! It was 4AM when the alarm went of, after a quick breakfast we went off to the Velodrome to get into the coaches that would bring us to the starting point in Busigny. Our bike trailer required us to take out our front wheels and the racks were only suited for traditional forks so it was a bit of a hassle to get all bikes into the trailer. Once you stepped in the bus, everybody was chatting and the odor of oiled legs was overwhelming. After 1,5 hours we finally arrived and had to search for the right wheels and wait till all bikes were loaded off. This was a typical French chaos and unfortunately it was almost 8 o’clock before I could start instead of the promised 7AM! Since I was one of the last persons to ride across the start line I was able to chase the other riders like crazy. The legs felt strong and powerful and I made sure I kept a good speed and acceptable heart-rate since I was not known with the paved sections. Between every section there was around 3 to 8 kilometres of asphalt roads to recover but I was not able to push full power on the cobbles so I used that energy to keep a high pace on the roads in between the sections. After the third section my hands were already ruined. Two big blisters popped open and numerous small ones were hidden underneath my skin. The rest of the 140km was riding on the automatic pilot, avoiding stopping and just pushing on. 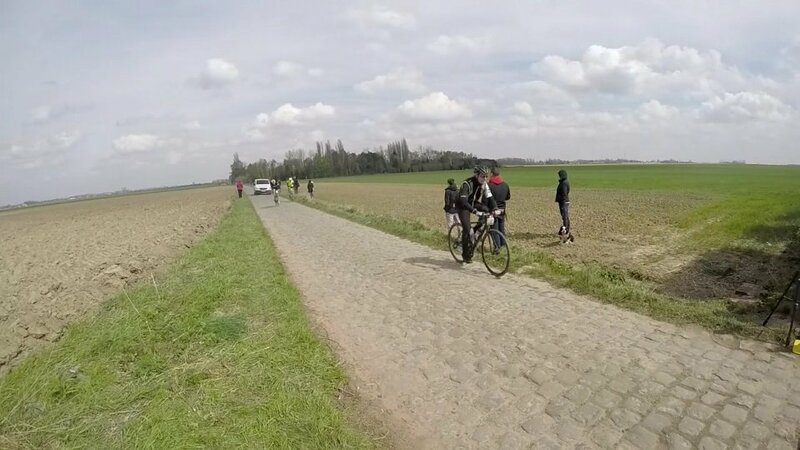 After the first refreshment stop I found some groups that were faster on the cobbles but I could chase back after so we could ride the last parts before the sections together and sharing the work. The refreshment sections were a bit crowded but I just needed a few cookies, a banana and some fresh water. During the past months I’ve been getting quite good at riding long distances without that many food intake. 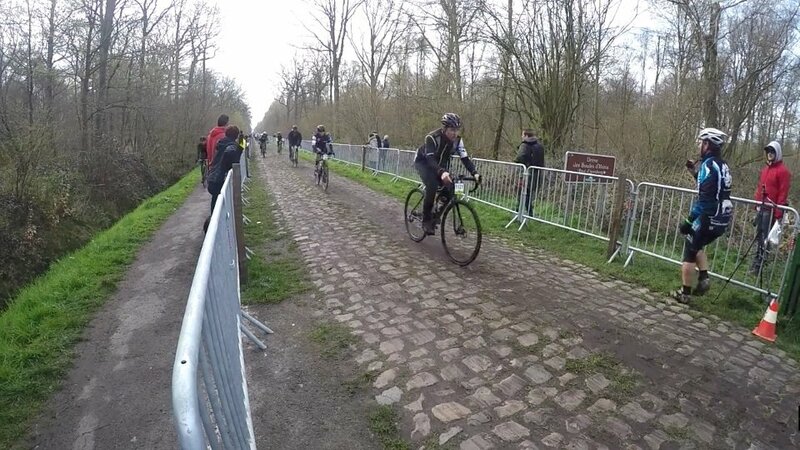 At the 75km mark the first 5-starred, and world famous section in the Forest of Arenberg occured out of nothing. 2,4km of complete crazyness. I saw so many bottles, bikes and people sliding around, crashing into the fenches that I took it at an easy speed. 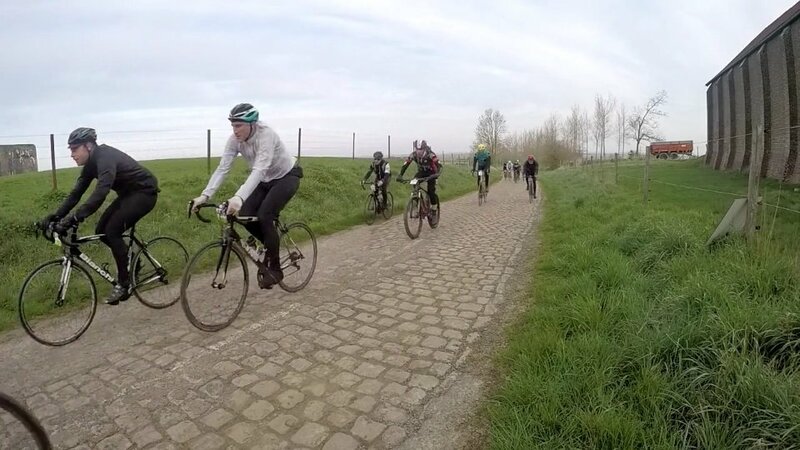 These cobbles must have been placed in the most uneven way possible on purpose: nobody builts a road like that! Half way I had to take of my glasses: due to all the bumping and moving around of the focal point I couldn’t see the road anymore. Strengthened by the fact some riders took the little bikepath next to the cobbles, I was able to survive the roughest road of the day. Never again! I feel sympathy for the professional racers taking these roads at speeds over 35km/h! Surviving the most challenging part made me dedicated to push along the other sections without thinking to much since the worst part was done. After a bit more than 5,5 hours I finally arrived back in Roubaix, prepared for a final push in the streets of Roubaix. 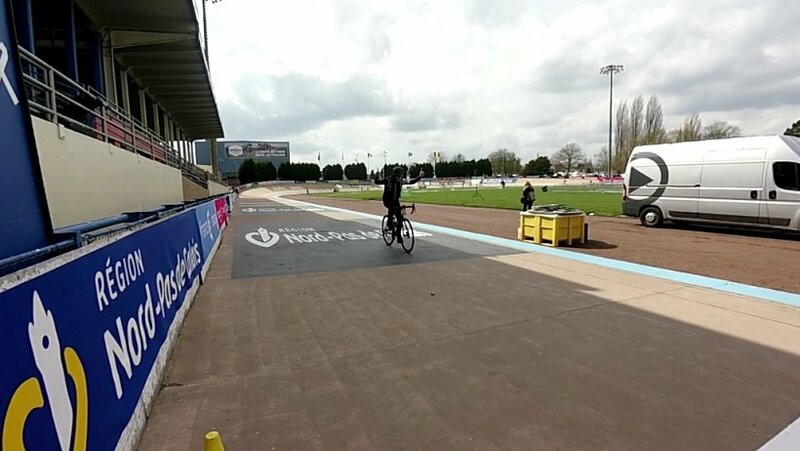 Pushing over 45km/h towards the velodrome made me leaving the group I was riding in behind so I arrived solo at the Velodrome for a final lap! The feeling of a smooth concrete velodrome track underneath your wheels had never felt so good! The legs were heavy, my back and arms were hurting and the Belgium roads were crappy but I had a lovely 200km ride back to the Netherlands. Took some of the classic climbs like the Berendries but my legs were not finding the 12% as amusing as I did. Since I overslept I didn’t had time enough to ride back to Utrecht and add another 80 kilometres but it was a good training for the TCR anyway. Good to see how my body reacted after it was totally destroyed the day before, slept on a couch and not having a proper breakfast. After 2,5 hours I found a nice Belgium bakery with fresh chocolate breads… I need to plan more weekend rides in that area now I now how delicious these taste! The bike did well, the body did well so working towards August is going according to plan.